GREENS FEES: $220.00 (ADULTS) / $43.00 (KIDS) - ALL-INCLUSIVE! TWILIGHT RATES: $130.00 (ADULTS) / $43.00 (KIDS) - ALL-INCLUSIVE! The Golf Club Playacar is located in the fashionable resort district of Playacar, just south of Playa del Carmen, the heart of the Riviera Maya. This magnificent par 72 golf course with 7,144 yards was designed and constructed under the supervision of the famous Architect Robert Von Hagge and is surrounded by a diversity of lakes and exuberant vegetation. 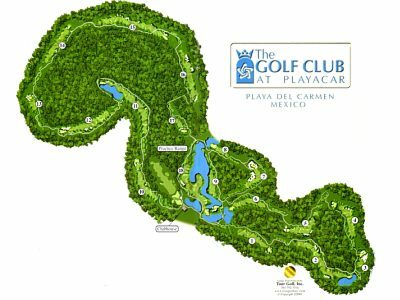 The Golf Club Playacar is considered by many as the most challenging golf course of the region, and is very popular for it's convenient location - walking distance from Playacar hotels and only a few minutes by taxi from downtown Playa del Carmen. Rates Include: Round-trip transportation from certain hotels in the Riviera Maya, Shared Electric Golf Cart, Food and Beverages at the Clubhouse. Twilight Rate starts at 2:00PM and includes unlimited golf until sunset. See all Playa del Carmen Golf. 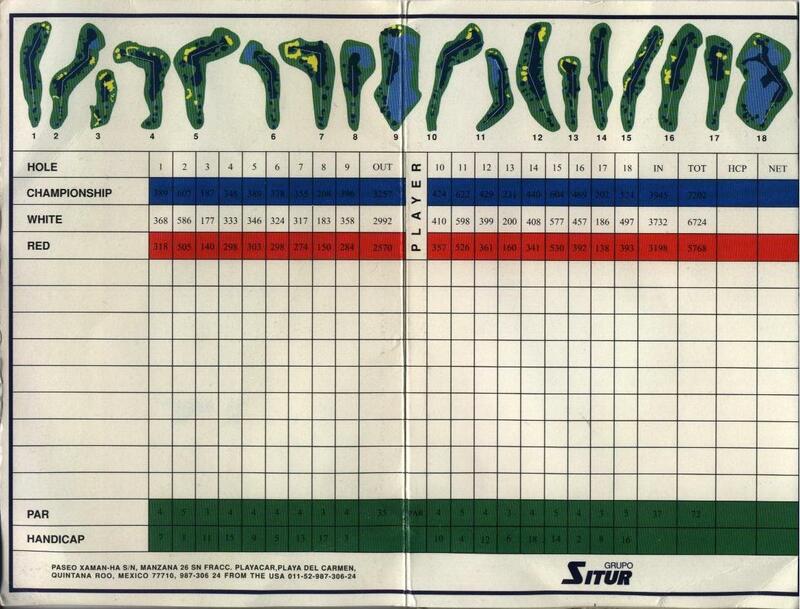 See also Cancun Golf and Riviera Maya Golf.